Ok, so the picture on the left here has nothing to do with the topic of today's blog post. I just HAD to include it. Patti and I are a bit sad that my shoes wore out a month before race day, as it meant our feet wouldn't match at our upcoming race, the Victoria Half Marathon on Oct 9th. 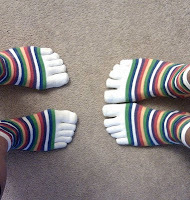 In response, Patti bought me a pair of socks to match hers, so we can wear them on race day and have matching feet afterall (well, ankles anyway). 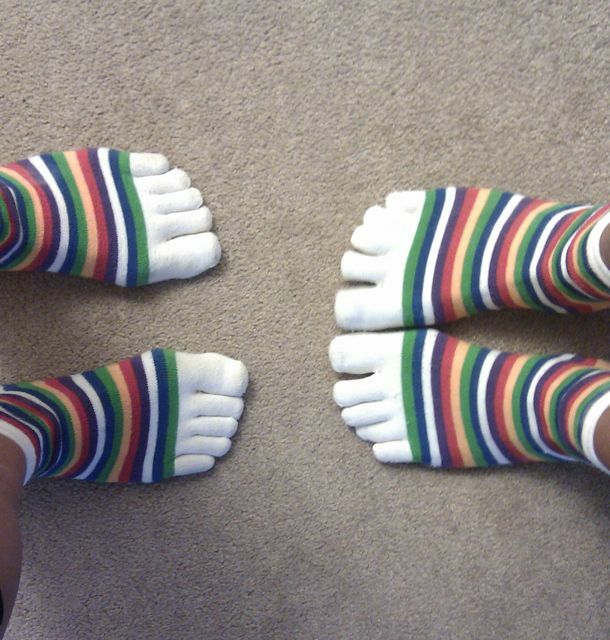 Very pleased to see toe socks made by Injinji specifically for runners, and made to be so darn adorable too. Without the friction of toes rubbing together sweatily, my toes are very happy and blister-free after today's 20km run. 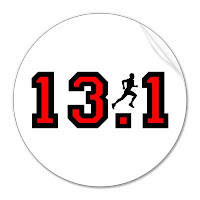 21.1km, or 13.1 miles. Whichever way you put it, it's a respectable distance. I kind of dislike the term "half marathon" to describe it. To be able to complete one, you have to be pretty darn fit. To complete it well (i.e., with both feet on the ground and a smile on your face), good dedicated training time has to be put into it. It requires discipline, knowledge, loads of time, and physical and emotional strength. 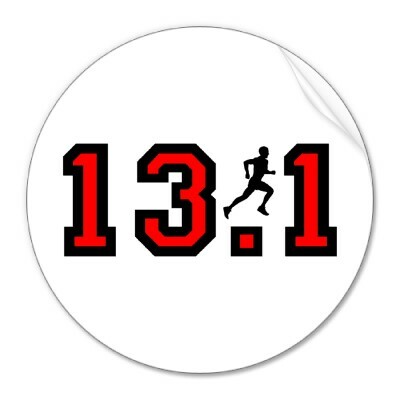 For this reason, some people say jokingly that it's named wrong: the half marathon should be called a marathon, and the full marathon should be renamed a double marathon. That I disagree with, but I know that I have mixed feelings about the title "half marathon" as I'm now 24 days away from race day - the GoodLife Fitness Victoria Half Marathon.